A fun, funky dog hoodie / sweatshirt with drawstring hood. 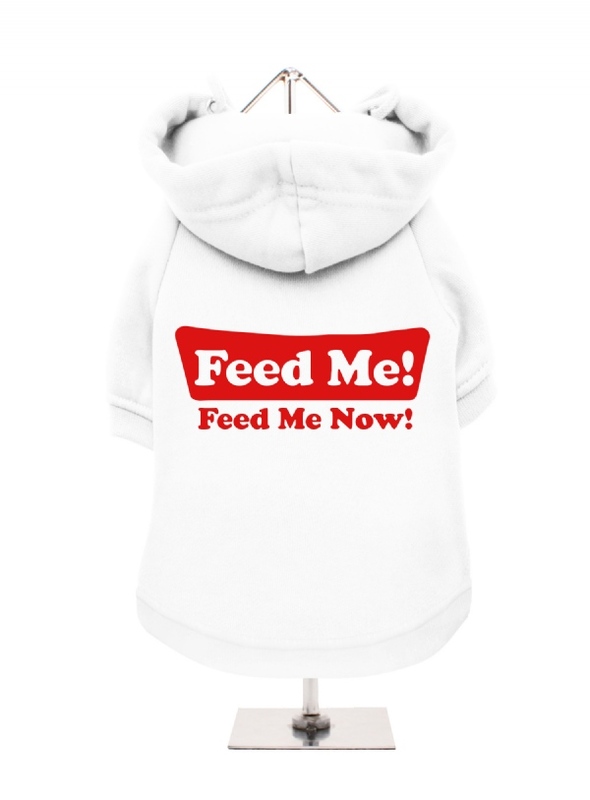 Made from high quality 100% cotton, fleece lined for keeping your pooch warm & comfortable and features a cotton-flex ''Feed Me, Feed Me Now!'' design.